All peoples and cultures face environmental issues-but as this accessible text shows, how they respond to such issues varies widely around the world and across human history. 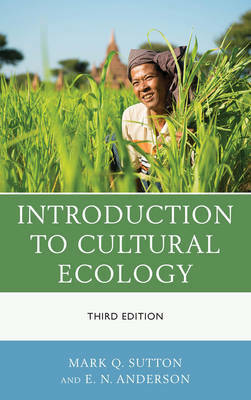 Introduction to Cultural Ecology, Third Edition, familiarizes students with the foundations of the field and provides a framework for exploring what other cultures can teach us about human/environment relationships. Drawing on both biological and cultural approaches, the authors first cover basic principles of cultural anthropology, environmental studies, and human biological adaptations to the environment. They then consider environmental concerns within the context of diverse means of making a living, from hunting and gathering to modern industrial societies; detailed case studies add depth and breadth to the discussion.